Delaware On-line -- The DuPont Co. manager charged with killing a bicyclist this month in Hockessin and fleeing the scene has waived a preliminary hearing and his case will be bound over to Superior Court pending indictment. Gabriel F. Pardo, 44, faces charges of criminally negligent homicide and leaving the scene of a collision resulting in death. If convicted of both felonies, under Delaware law he could face zero to 13 years in prison but sentencing guidelines used by Delaware judges urge no more than three years, three months behind bars. Poster's note: If the sentence carries no jail time in a case like this, it sends a clear message that, as long as you're in a car, it's open season on bicyclists and pedestrians. Amy Wilburn, Chair of the Delaware Bicycle Council, is following this story (and that of Eloy Sandoval-Mateoz) very closely and will provide case updates. A call to action may be necessary. Stay tuned. Visit our Casualties category for earlier posts on this subject. According to Smart Growth America, the safest places for walking are those with more active lifestyles, and fewer deaths per capita. This is also demonstrated with a lower PDI. The less dangerous regions tend to be more compactly developed and place more emphasis on pedestrian safety. According to Forbes Magazine, Delaware also ranks as the #1 laziest State in the country, with a serious obesity problem. 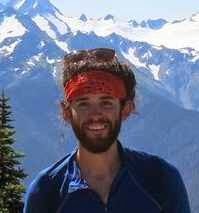 So, it appears one cannot blame an over abundance of active people out and about (though certain pockets do exist, i.e. Newark, beach areas). In any case, coming in at 6th over a 10 year sampling period is a terribly worrisome and embarrassing trend. And there appears no end in sight. 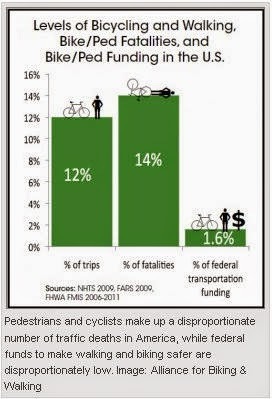 We were unable to find bicycling statistics over a full 10 year period, but data from 2005 to 2012 was available from the NHTSA. The two #1 rankings (2008/09) came mostly as a result of Route 1 in Rehoboth, which DelDOT partly remedied with a shared bike/bus lane. Pretty much, these are the only numbers we have, and questions do go unanswered. Among them, we do not know if an injured person that ends up dead within days or weeks later is counted as an injury or a fatality. Finally, it is difficult to gauge how much Delaware spends at the State level for pedestrian and bicycle safety, because many improvements are rolled in with the cost of pavement & rehabilitation projects. Nationally, however, the percent of dedicated funding is grossly disproportionate and a travesty of justice (below). 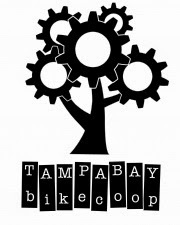 TAMPA TRIBUNE -- After seven years, the Tampa Bay Bike Co-op is closing up shop. The organization, which has been dedicated to helping local cyclists learn how to maintain and repair their bicycles on their own, held one last sale and barbecue Saturday before the staff closed down the Seminole Heights garage for good. All the proceeds from the sale will go to help fund a bike project for The Well, a non-profit dedicated to helping the homeless, said board member Dana Putney. What parts, tools and bikes that didn’t sell will be donated to the St. Petersburg Bike Co-op. A lot of people came by the garage Saturday to say farewell, Putney said. The members of the co-op are sad, but they understand why the board wanted to change things up. “It got to be too much like a bike shop,” said Dave Horst, president of the cooperative’s board. The organization formed in 2007 and started meeting once a month at the Transitions Art Gallery on Columbus Avenue, hosting clinics that taught people how to use tools and do minor bike repairs. Eventually, the cooperative moved into a stall at a storage facility at Waters and Armenia avenues, where the owner let them operate rent-free, Putney said. Bike-riders from all over the Tampa area came to the co-ops stall to buy used parts and frames and get one-on-one attention from the volunteers who helped them tinker with their bikes. Recently, the group’s 10 or so regular volunteers were working unpaid shifts every Monday, Wednesday and Saturday. And because all the volunteers also work full-time jobs, the hours were starting to be too demanding. “At that point, you’re taxing volunteers so much that it doesn’t make sense,” Horst said. So the board decided to go in a different direction. 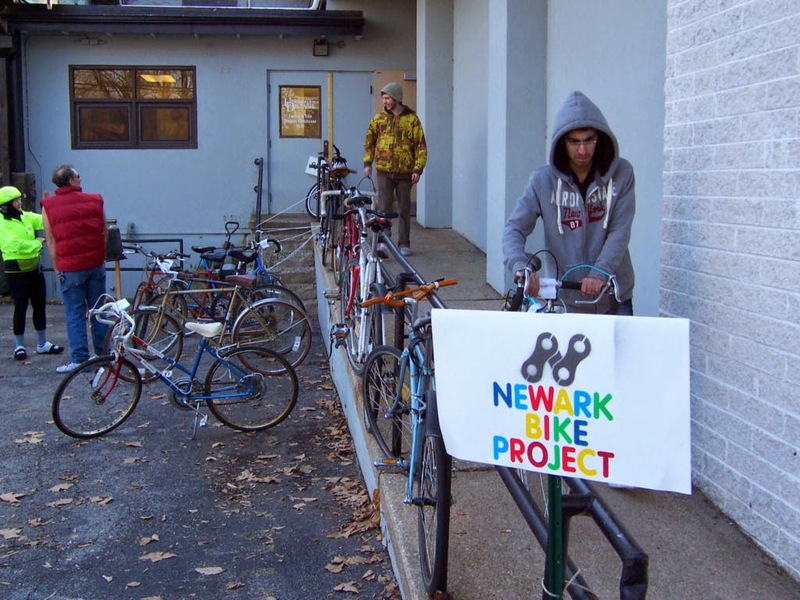 Founded in 2011, the Newark Bike Project first opened shop at a temporary location on W. Park Place, that was provided rent-free by a local developer. After relocating two more times - to buildings slated for demolition - they recently opted for new construction (and a commensurate lease rate) at 136 South Main Street. Above: Iron Hill Park, owned and maintained by New Castle County. What used to be the main entrance off of Whittaker Road is now closed to motor vehicles, entrance relocated to Old Baltimore Pike. If non-motorized users are still allowed throughout the park, why are they forced up a curb and through grass to enter? In addition, this cannot be ADA compliant. Above: This was the result when residents complained that Brownleaf Road was becoming a main thoroughfare between Route 273 and Chapman Road. This fixed the problem alright, but bicyclists must go up a driveway and use the sidewalk to continue. There are so many other, more aesthetic ways this could have been achieved, yet allowed bicycle access. A view from the new entrance (Teeing in from right) in Iron Hill Park. 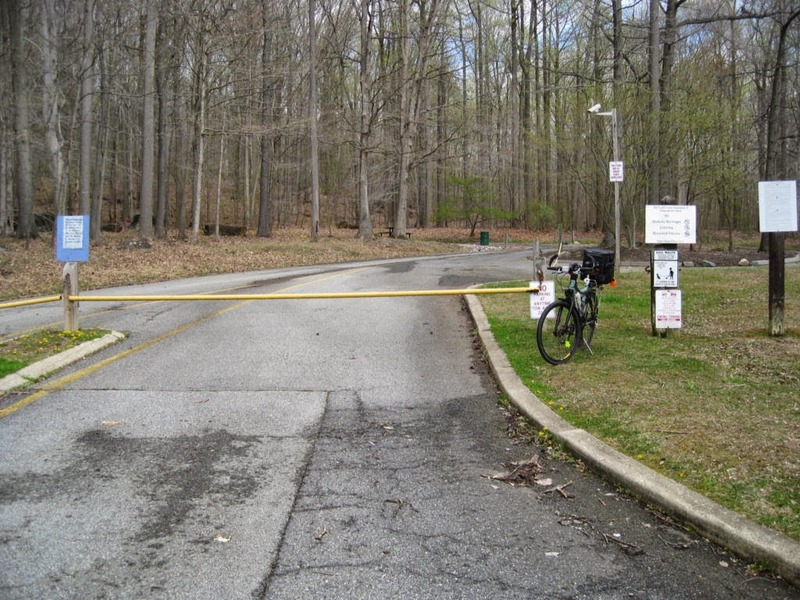 A cable or chain is used to keep motor vehicles out of the park road leading to the original entrance. Bicyclists must ride around a post on either side, through uneven dirt and loose stones. When it comes to keeping out cars, appropriately spaced bollards (one removable) perform the exact same function as a gate, yet allow non-motorized pathway users to pass through safely as if nothing was there. 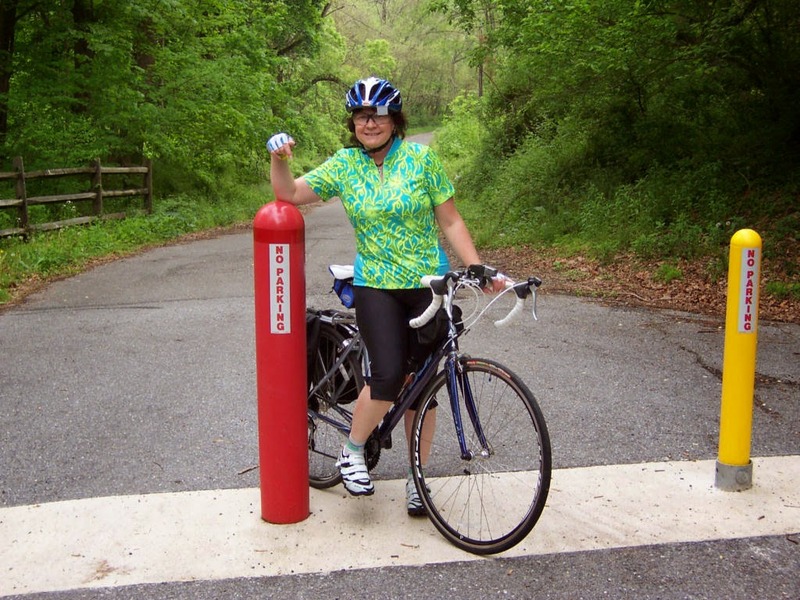 Angela proudly shows off a beautiful line of bollards that can be found on Creek Road, at the end of Wedgewood Road in White Clay Creek State Park. The yellow bollard is easily removed, allowing DNREC, Park Police, and other authorized vehicles to enter. Some of our key government agencies continue using barrier types that not only block motor vehicle traffic, but force non-motorized users - that are permitted - into dangerously inconvenient detours. We live in a country where bicycling is 3rd on the spending list, with $81B annually. 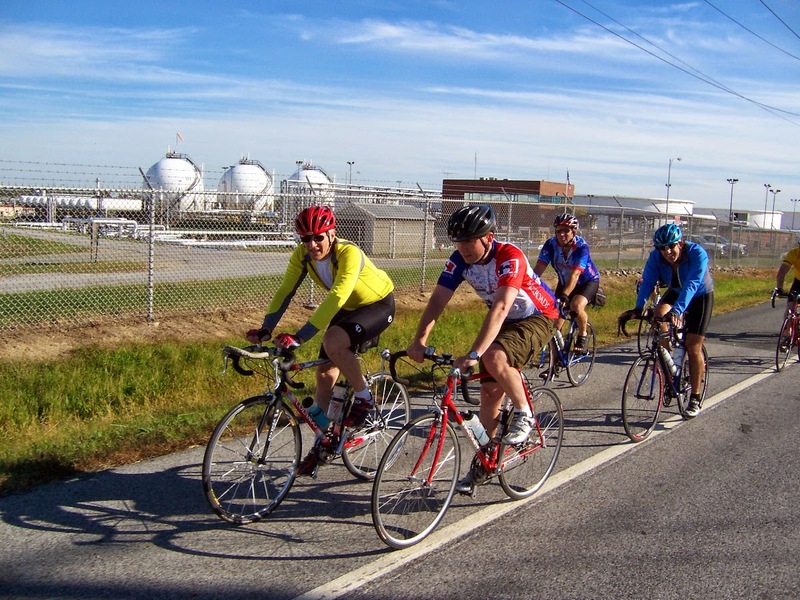 Delaware is ranked 4th in the nation for being bike-friendly. All County and State Government agencies need to get on board, if for nothing else, common sense decision-making. 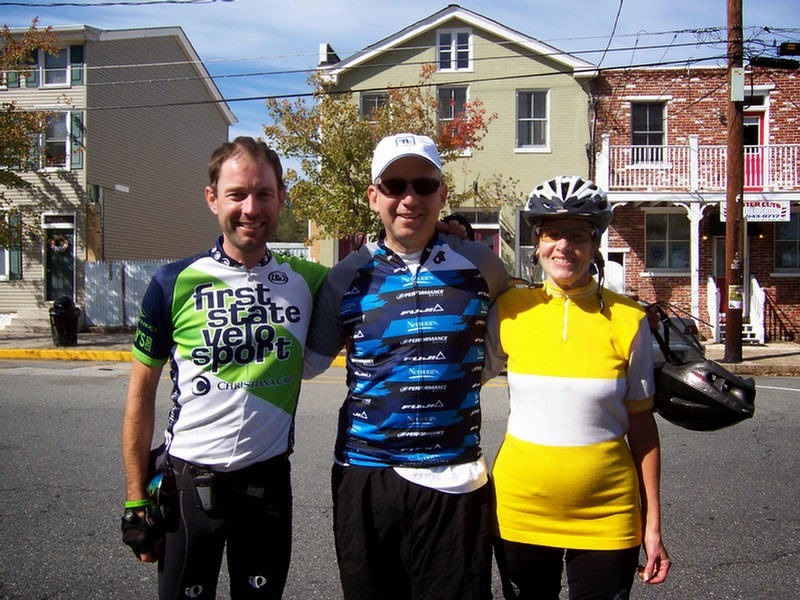 By Jeffrey Berger -- Mark your calendar for Governor Jack Markell’s 8th Annual “Tour de Delaware” - Sunday, October 5, 2014 at 8:00 a.m.
You don't have to be a Delawarean to participate in this, and there is usually a strong Cabooser contingent. The governor leads the ride and it is typically flat, so it is an easy but fun supported ride, with snacks and lunch at the end. This year the ride will be a 50ish mile loop, with the start/end and exact route still being considered (as soon as it is finalized, it will be distributed to the group). Corey will be sending out more details as the date approaches, so RSVP today! Governor Jack leads the way in the 2007 Tour of Delaware, the event's first year. Will Jack continue leading Le Tour after his term in office, or will his replacement continue this time honored tradition? Regardless of who, it has grown enormously popular, and should continue as an annual event. 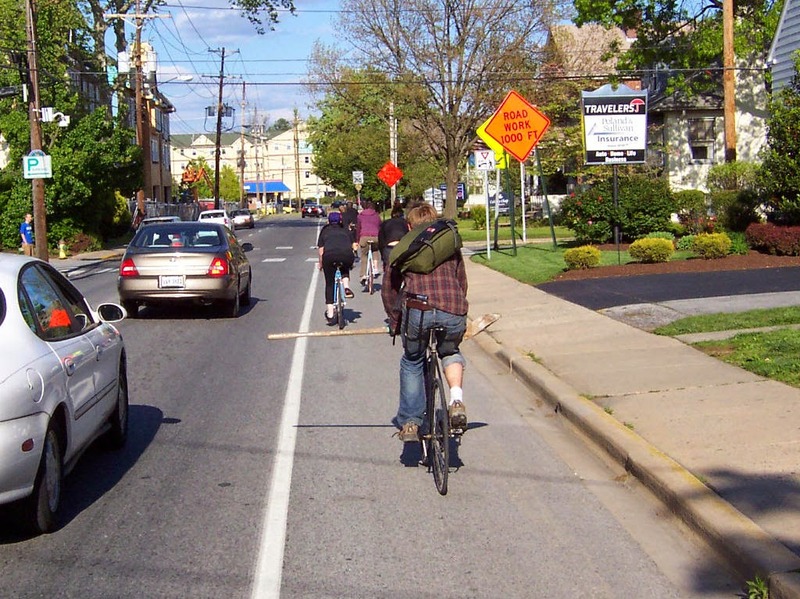 In November 2012, a small group got together to discuss the advantages of all advocates of active transportation in Delaware (e.g. bicycle, pedestrian, bus transportation, safety, healthy lifestyle) working together to promote active lifestyles. We discussed the need to understand what the current advocacy efforts were and how to identify people who could organize their efforts. The initial name of the group, Bicycle Education and Safety Training has changed to Bringing Education and Safety Together. We wanted to keep the initials the same for consistency - B.E.S.T. - but needed to show an interest in collaborating with a broader range of transportation options. The B.E.S.T. Group advocates using Active Transportation in daily life. To promote this goal, we are currently developing a curriculum intended for Physical Education (P.E.) teachers in Kindergarten through Grade 12. We are inviting P.E. teachers to pilot our program during the 2014-15 school year. B.E.S.T. 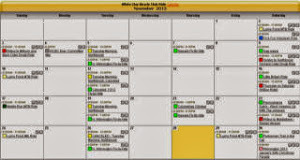 group members would provide support in locating resources, teaching lessons, and answering questions. The B.E.S.T. Vision promotes bicycling, walking, and public transportation (Active Transportation) in a way that engages the talents, energies and influence of the various advocacy groups and local, county & state resources, so that our collective efforts are aligned and coordinated (i.e. healthy lifestyle, non-motorized activities to address obesity, etc. ), in a way that Delaware’s active transportation initiatives are recognized nationally as a model program. Visit our all new B.E.S.T. website, and be sure to add a bookmark for us. 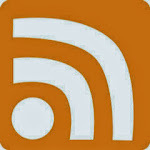 Check in periodically for all the latest updates and activities! 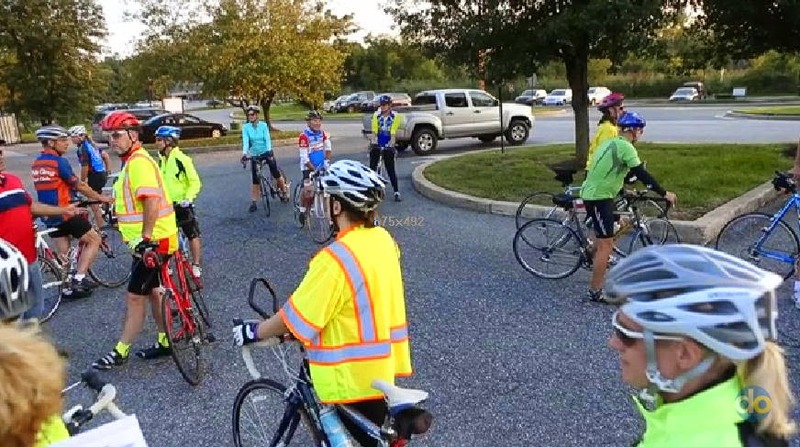 Delaware On-Line -- Nearly 30 bicyclists paid solemn tribute Thursday night in Hockessin to Phillip Bishop, riding en masse to the viewing for the cyclist killed last week in a hit-and-run crash. White Clay Bicycle Club ride leader Charlie Johnston of Newport didn't know Bishop, but organized the procession because he felt it was "important to honor him and show support for the family." Gathering at Lantana Square shopping center before the procession to Chandler Funeral Home, riders mourned the 27-year-old, who was killed as he rode home to Stuyvesant Hills in Hockessin after work. Cyclist Penny Rodrick-Williams of Hockessin had met Bishop at PureBread Deli & Café in Greenville, where he worked as a supervisor. 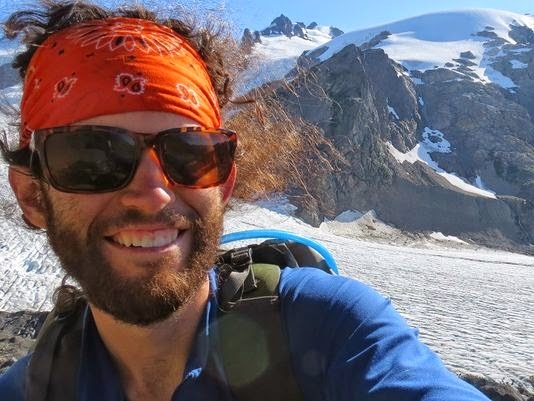 "He was just such a kind person," she said, adding that she also joined the ride because she is a science teacher and Bishop aspired to become one. Poster's note: A big tip of the helmet to Charlie Johnston, for pulling this all together on such short notice. There was an error, however, during the interview. It was stated that "they (bicyclists) should be on the right shoulder, or right line". It is important for motorists to understand vehicle code as it relates to bicycles, and that cyclists may use the full lane in multiple circumstances; everything from avoiding debris to taking a left turn lane. Stay tuned as we compose a letter to the editor at the WNJ, clarifying Title 21, Chapter 41, Section 4196 so as not to provide fodder for our critics and adversaries. Anthony Aglio, the best friend advocates could possibly ask for in a State Bicycle Coordinator, just reported that DelDOT has moved quickly on the rumble strip re-design and already has it on the ground for bicyclists to test out. According to Anthony, we need at least a few cyclists that can ride Route 71 south of Middletown and report back with comments - positive or negative. DelDOT's original rumble strip, above, robbed some of the most valuable space in the shoulder - destroying some entirely. Unfortunately, a number of good roads have already been damaged with this design, but thankfully, DelDOT crews were quick to assess the damage and make repairs in several areas that were rendered very dangerous or unridable. The all new design, above, is superior to the original. This strip is less than half the width, is much closer to the white line (6"), and shallow to where a bicycle can safely cross over it. 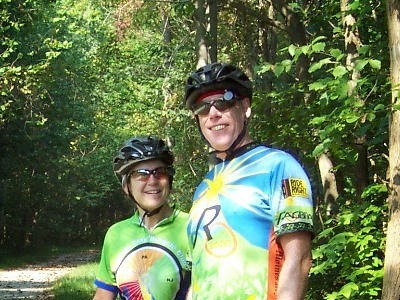 Delaware On-Line -- Bicylists are planning to ride en masse to Thursday night's viewing for Phillip Bishop, the rider killed by a hit-run driver last week in Hockessin while returning from work. The ride, organized by a member of the White Clay Bicycle Club that often rides through the Hockessin and surrounding areas, will be from the Lantana Square shopping center to Chandler Funeral Home. Anyone interested is asked to meet in the parking lot of M&T Bank at 151 Lantana Drive, off Limestone Road, about 6 p.m. The ride to the funeral home at 7230 Lancaster Pike – about 2 miles – is scheduled to leave at 6:30. Posters note: I also respectfully ask that you keep another cyclist in your thoughts and prayers - please remember and honor Mr. Eloy Sandoval-Mateoz, who was killed by a drunk driver in Ogletown on Saturday, July 26th, while riding his bicycle northbound trying to cross Del. 273 at Ruthar Drive. He has the sad distinction of being Delaware's first bicycle fatality of the year. Eloy was born on December 2, 1969. He was 44 years old at the time of his death. There were no funeral services for him here, and his body was sent home to his family in Mexico by the Corleto-Latina Funeral Home. Although I did not know Eloy personally, from the description of him, I believe that I had passed him in my travels on my bicycle, on that same road and nearby my home in Ogletown. We would wave at each other. He appeared to use his bike for his primary means of transportation. No memorial marks the spot where he tragically died, but I think of him each and every time I pass the site. I hope to continue to follow the case in the hopes that Mr Sandoval-Mateoz will be represented properly, that people know that he too was a human being, with family, friends, and a wider community that cared about him. 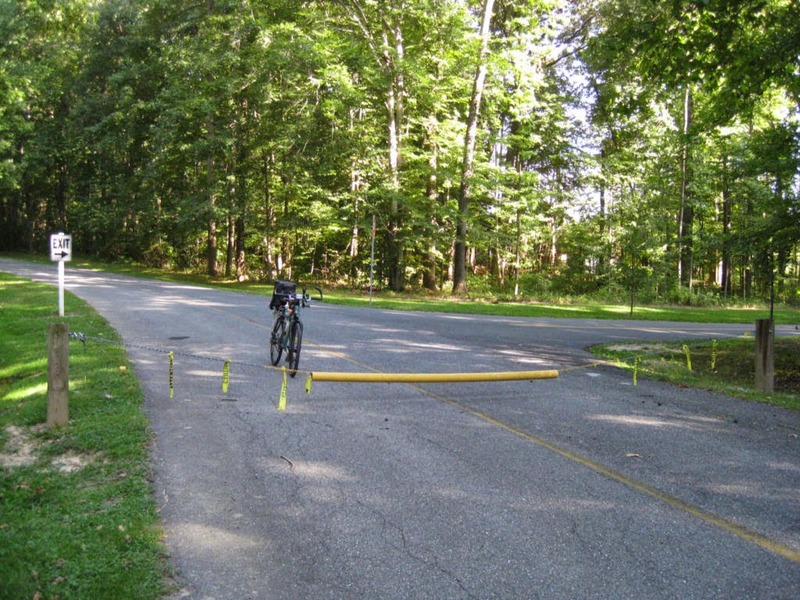 Back in the early Spring, bicyclists from New Castle and Sussex Counties were dismayed to find Rumble Strips now occupying long stretches of shoulders and bike lanes. Some were installed on roads that had no option to route around. Folks without alternative transportation found themselves riding in the high speed lane of traffic, with cars whizzing by inches away. One thing was certain; miles of rumble strip can be cut through smooth asphalt seemingly overnight, and cyclists had no idea where, or how many more roads were being targeted. This made planning club rides and cycling routes very difficult. 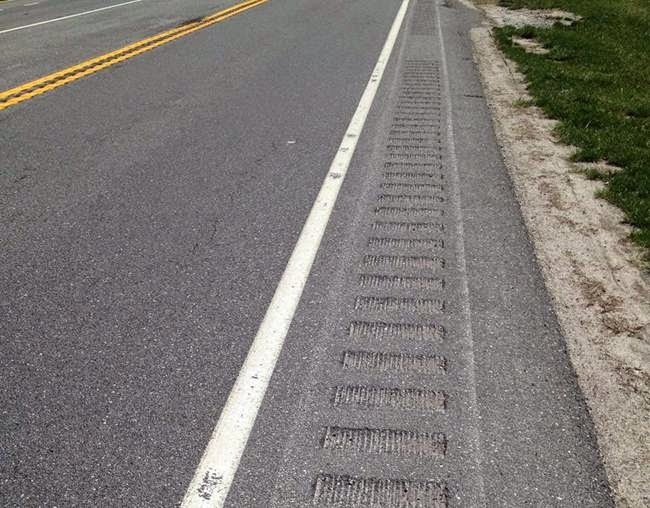 Among the first to notice the rumble strips were cyclists on club rides with the Sussex Cyclists, who found their familiar roads in potentially dangerous condition. Roads that were once reasonably safe to ride on were now potentially life threatening. Advocates - most notably John Kurpjuweit, President of the Sussex Cyclists, and Amy Wilburn, Chair of the Delaware Bicycle Council - were in touch with DelDOT immediately, trying to halt the destruction. The Delaware Bicycle Council, Delaware Bikes, and Sussex Cyclists kept the issue at the forefront, prompting a swift response from DelDOT. Mark Luszcz, Chief Traffic Engineer, halted any further installation of rumble strips and called an emergency meeting to investigate the issue. Also participating was Anthony Aglio, Bicycle Coordinator for Delaware. A plan of action was taking shape. 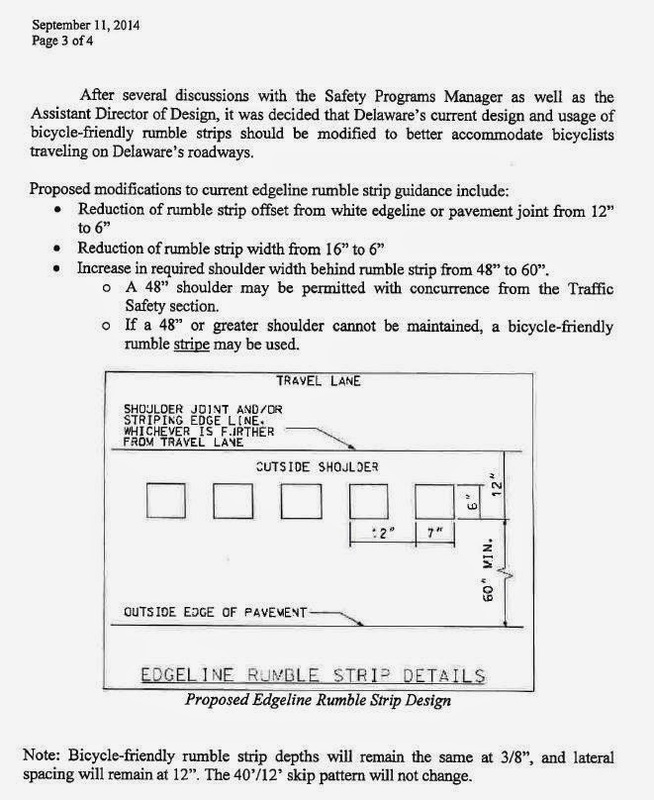 It became immediately obvious that the offset specs in the current Design Guidance for the Installation of Bicycle-Friendly Rumble Strips were not being followed. 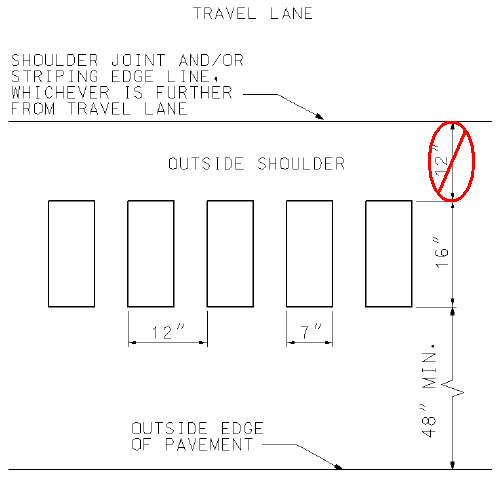 Bicyclist's feedback would be necessary to locate and repair those sections of road where at least 4' of asphalt remained between the rumble strip and the rightmost edge of the shoulder. This would at least bring what's already out there in accordance with the design guidance. By mid-June, with the help of bicyclist's feedback, a map highlighting all known errant sections was created. But before repair could take place, a suitable method for patching and smoothing over the rumbles had to be found. After a few experiments with continued public feedback, a suitable method was discovered and crews went to work immediately on miles of errant rumble strips. Help us to help you. Please email your comments! The above drawing presents an enormous improvement over the current design guidance. At less than half the width and half the offset from the white line, these rumble strips would make life a lot safer for bicyclists. In fact, they could now be used effectively as an incursion alarm (motorist lane drift from distracted driving). The above photo was taken a few years ago on Route 213 in Maryland, just South of Elkton. 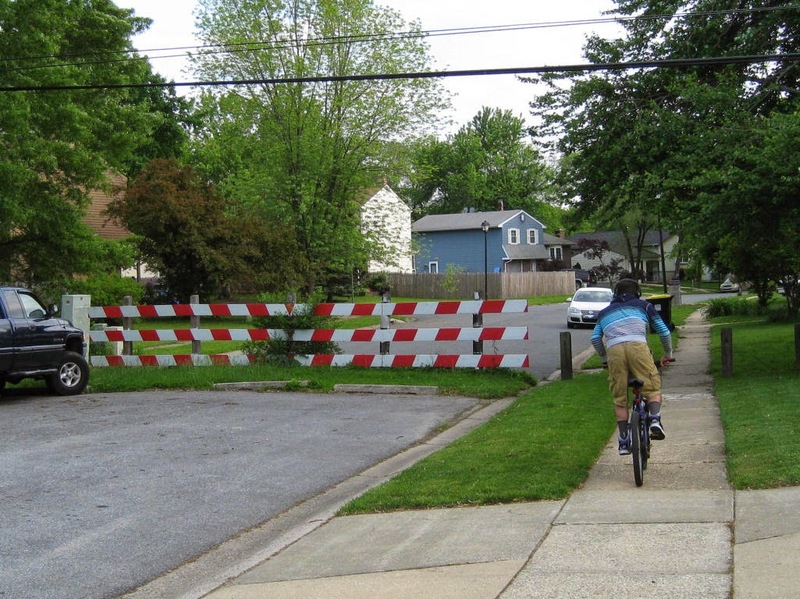 With the help of Michael Jackson (Director of Bicycle and Pedestrian Access with MDOT), Delaware Advocates scored an out of state victory with guideline changes there as well. In Summary, we commend DelDOT for recognizing the current design as problematic in that it created conflicts between drivers and cyclists. Switching to the proposed guidelines above will encourage bicyclists to ride in the correct position on the shoulder and facilitate cooperation between all user groups. Further, it will allow bicyclists to ride behind the rumble strips instead of at the white line, as well as move safely into the lane when cars are turning in front of them or to avoid debris. 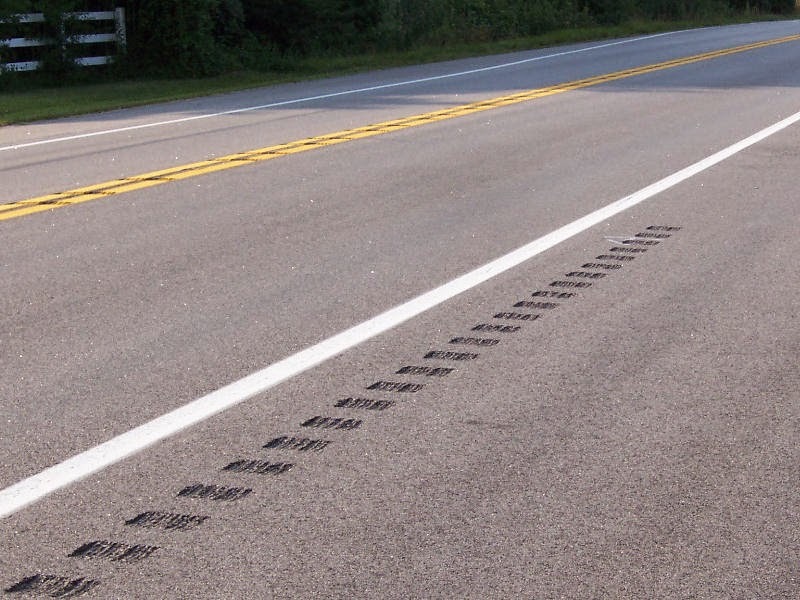 Visit our Rumble Strips category to revisit years of persistent advocacy on this safety issue. From Co.Exist -- Visit cities like Amsterdam or Copenhagen and you soon notice something different about the facilities for cyclists. Not only are there are plenty of bike lanes, but the lanes are fully separated from the rest of the road--usually with plant pots or plastic bollards. Far from being an afterthought, cyclists get their own road infrastructure. Bike advocates argue that separation is key to driving up cyclist participation. And so it appears from a new study of early separated lane projects in the U.S. Across six cities, the study finds a rise of ridership between 21% and 171% after the lanes were installed. Above: A bicyclist on Delaware Avenue in Newark is fed up with drivers coming too close. Fortunately, help may be on the way, as Delaware Avenue may soon include the State's first protected bike lane. The proposal was part of this year's Newark Bicycle Plan and approved unanimously by council on Feb. 24 . It presents the overall mission and vision for where efforts will be focused over the next several years. 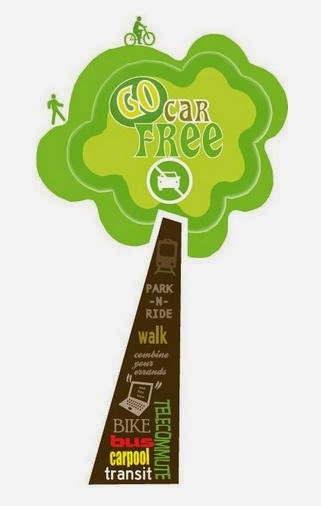 Take the Car Free Day Pledge and win! RideShare Delaware -- Take the pledge to go car free or car-lite on Monday, September 22nd, and be entered to win a $50 gift card (to Target, Walmart or Wawa – you choose)! You may still pledge and be entered for a chance to win even if you’re already using alternative transportation modes, such as bicycles, walking, transit, teleworking, and carpooling. All pledges made through September 21, 2014 will be entered into the prize raffle drawing. Scroll down to complete pledge form! Car Free Day is an international event celebrated every September 22 in which people are encouraged to get around without cars and instead ride a train, bus, bicycle, carpool, vanpool, subway, or walk. Also, don't forget to register your commute and become eligible for several benefits, including 5 FREE emergency rides home. Otts Chapel Road I95 overpass is the farthest west in Delaware. Many bicyclists consider this the least unsafe of the on-road crossings, because it has a 5' shoulder. A big issue, however, is debris collection along the barriers. This forces bicyclists to ride closer to the high speed lane or risk tire puncture or slippage. Fortunately, the span is rather short, with 8-10'' shoulders opening up in both directions immediately beyond the guardrails. 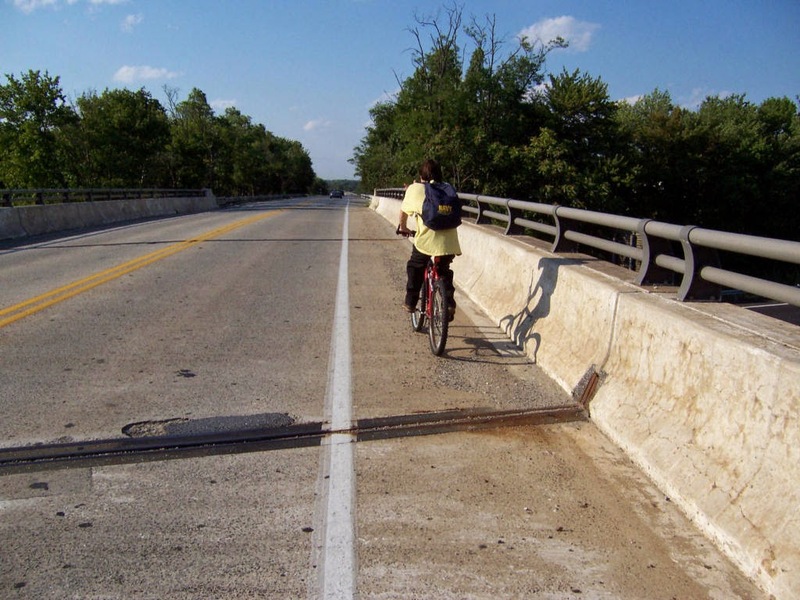 In a recent survey, Delaware Bikes readers overwhelmingly cited Otts Chapel's bridge crossings as "Hot Spots" in desperate need of more frequent sweeping. This includes a major RR overpass just north of I95. Both have barriers or curbs and collect massive amounts of debris. To that end, DelDOT Maintenance and Operations (M&O) listened to bicyclist's concerns, and said they will be increasing sweeping of many such hot spots as per their all new NPDES (National Pollutant Discharge Elimination System) permit. As with riding on shouldered roads in general, take steps to fortify your tires against stones and sharps. This will decrease the worry of riding through debris. Try not to appear too predictable. Riding a steady line will increase your odds of being "buzzed". Stand on the pedals, or move around a little bit within the shoulder. This usually has an immediate impact on driver's passing speed, and can make them skittish about coming too close. If this I95 crossing is too intimidating in any case, slow down and stop before the shoulder narrows. Wait for a comfortable break in traffic before charging across the span. If timed right, it may be possible to clear the overpass with few or no cars overtaking. Minus debris, a bicyclist can ride well within the shoulder on the Otts Chapel Road I95 overpass. 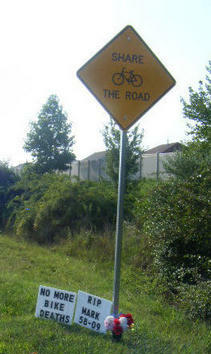 Many do, as this road is a popular bicycle commuting route between Glasgow, Bear, Elkton, and Newark. 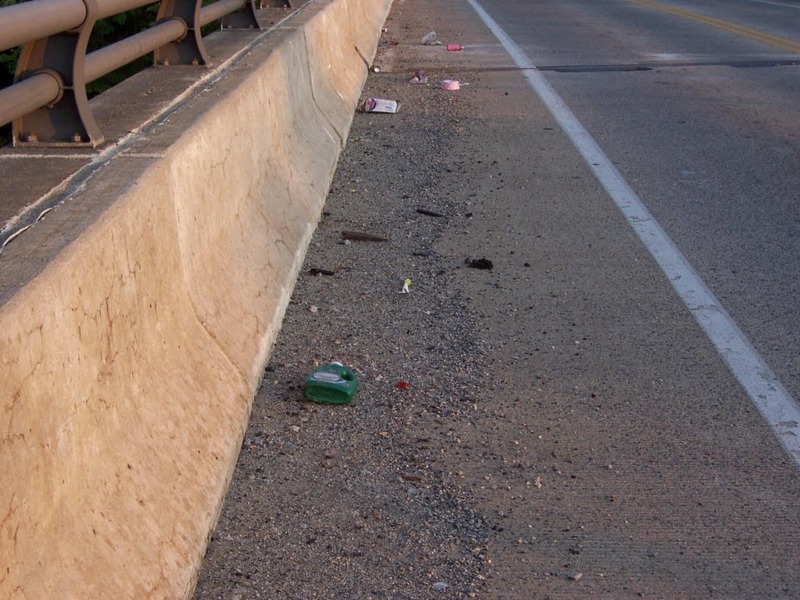 Debris collection is typical anytime there are barriers, curbs, or other containment features. In DOT-speak, these are known as "Reflection Zones", and usually require more frequent sweeping. DelDOT will be realigning the intersection of 896 and Howell School/Denny Roads, and wants our input. Construction will also occur on at least some of the length of Howell School Road. The project goes out to bid this Winter and will occur over the next couple of years. In planning for construction, DelDOT's Rich Palmer wants to know about any cycling events that use Route 896 and/or Howell School Road. I know that at least one Triathlon event leaves from Lums Pond, and I imagine that a number of others use that area as well. If you know of any events, please let me know as many details as possible, including the organizer, and I’ll pass the information along to Rich. Poster's note: The Route 896 intersection of Howell School Road and Denny Road - well offset from one another - appear in the center of the map above. 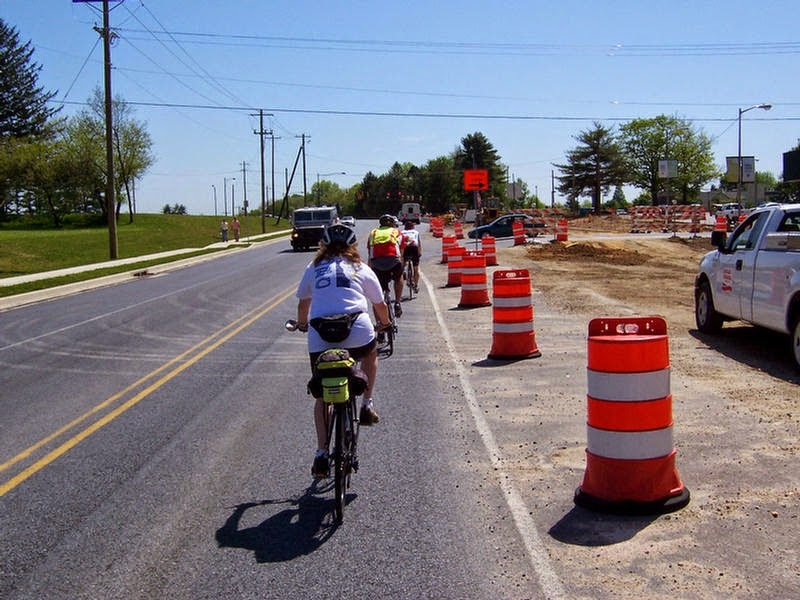 A construction project is scheduled to align the two in order to create one single intersection, and DelDOT is asking bicyclist's input. It will be especially helpful to pass along any info about events that take place in the area, and when. Please contact Amy Wilburn at: dioglaert@gmail.com to offer your comments and suggestions. From Grist -- Bolt cutters are a nightmare for bike owners. Thieves can slice through cables and padlocks in seconds. And forget about only locking the front wheel, too (rookie mistake). 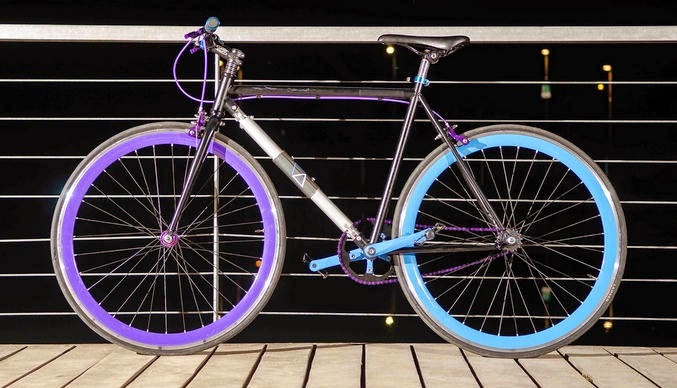 Good news for bicyclists who resent carting around heavy U-locks or chains: A new bike design incorporates the lock into the bike itself. And its creators claim it’s unstealable.